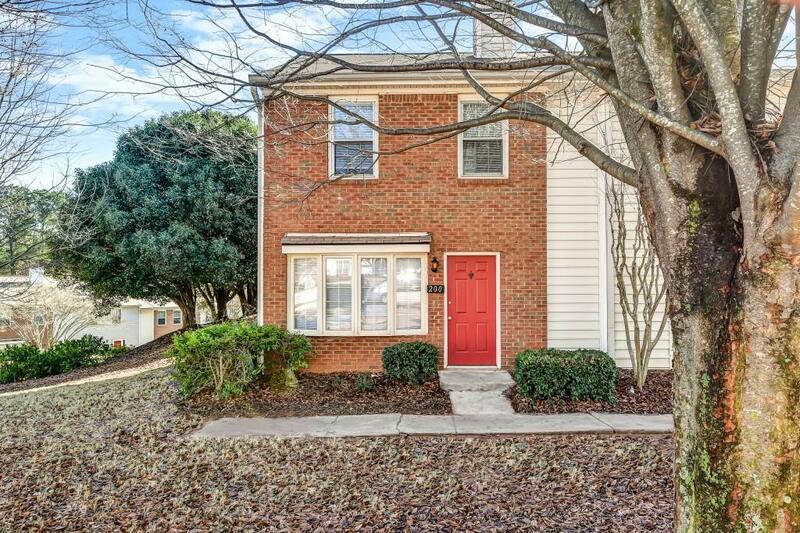 Beautiful end unit home in Move-in Ready Condition! Bright and open floor plan with hardwood floors throughout main level, cozy family room with brick fireplace, separate dining with access to back patio, spacious kitchen with all appliances included, great roommate floor plan with each private suite with en-suite and ample closet space. Fantastic Location! Within minutes to shops, schools, parks, highways and Downtown Roswell! Directions: 400n To Exit 7b, Travel West On Holcomb Bridge, Right On Dogwood Rd, Right On Old Holcomb Bridge Rd, Left On Holcomb Ferry Rd, Left On Mill Creek Place. House Is First On The Left.